I’m a child of the TV age, raised on reruns of everything from The Jeffersons to Love, American Style. 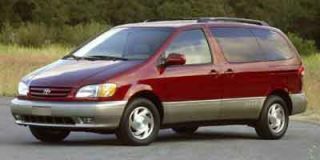 So when Chevy said they were bringing by their Venture minivan with the Warner Bros. Package, I was half-expecting it to show up in my driveway with a talking rooster, a giant hammer complete with retracting fist, and a ton of Acme dynamite. Thufferin’ thuccotasth! Alas, nothing so wily or speech-impaired appeared. 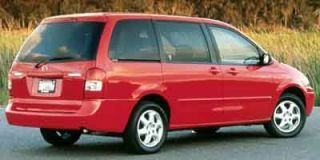 No bright colors or rowdy theme music either, just a sedately handsome minivan with small WB logos on its flanks and some entertaining features inside. And that’s a victory. The pronounced lack of “look at me” decoration is a testament to how far GM’s come in the race for tastefulness – and for minivan excellence. Hark back with us if you will to 1990, when GM introduced its first true minivans - the Pontiac TranSport, Chevrolet Lumina, and Oldsmobile Silhouette – to a resounding “Huh?” Not only had GM missed the mark set by Chrysler’s class leaders, they brought forth plastic-bodied creations that could have used another round at Tom’s Rhinoplasty. 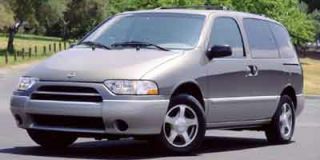 Strange styling and a lackluster powertrain hamstrung them in showrooms while the Chryslers kept their hawklike grip on more than 60 percent of minivan sales. 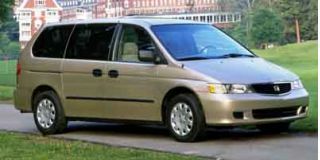 Mercifully, the minivans were redone in 1997. GM had learned a lesson well: they switched to sheetmetal at the Doraville, Ga., assembly plant, uprated the powerplant, and toned down the spacey look. Handsome and well equipped, the new vans have made a bigger impact with buyers. 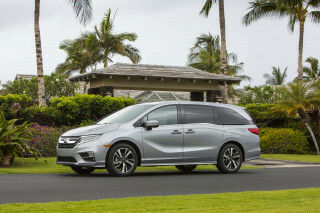 Though the Chryslers, the Ford Windstar and now the Honda Odyssey are getting all the buzz now, the Venture’s a solid choice, mainly because it offers all sorts of choices in seats, doors and safety. As far as seating arrangements go, you can order everything from eight-passenger benches to captain’s chairs for four; Chevy offers a third-row stowable seat (which we weren’t able to sample), and make the seats flip, fold, and hold more cups than your kids’ bladders can. The seven-passenger model we tried was comfortable for adults in the front five positions; the back two seats aren’t shaped too badly, but long legs will suffer. The seats tend to feel flat after an hour or so, and in the Warner Bros. Edition, they’re leather covered, which means sliding around those commuting curves. As for doors, the Venture has four of ‘em. The rear doors can be ordered with power sliders, and the tailgate opens up for six-footers to fit beneath. And as for safety, the Venture’s got a ream of equipment from dual front and side airbags, to four-wheel anti-lock brakes, to a rear parking aid (it beeps before you crunch the car behind) and a built-in child seat in some versions. OnStar is standard, along with free emergency services for one year. GM’s family vehicles rarely top the list for handling, but the Venture is easily the most pleasant, nimble van of the domestic choices. 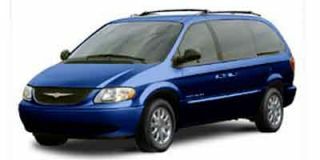 The independent-front, twist-axle rear suspension works equally well on the highway and on two-laners; the Windstar’s too big for truly athletic moves, and Chrysler’s vans just aren’t communicative enough. In the Venture, the steering responds accurately, the body doesn’t roll too much, and the ride damping strikes a great deal between firm and flouncy. Braking feel, never a GM strong point, is very good here too -- no more hard dead pedals, just smooth, responsive feel. Anti-lock control is standard, too. Under the hood, the sole powerplant for the GM minivans is a 185-hp, 3.4-liter V-6. 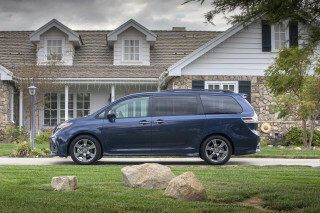 There’s nothing wrong with the power or torque here; by minivan standards, it’s amply quick. What’s unbefitting a family vehicle is the engine’s resonance and loudness when you’re gunning it. On the freeway, dip into a lower gear -- there’s only a four-speed automatic transmission, typically GM with fluid, sweet shifting -- and the engine kicks up a raucous racket just short of a bellow. Compared to Honda’s ripply motor and Chrysler’s smoother six-cylinders, the Venture’s powerplant is clearly in need of stronger firewall protection. So if it doesn’t have any boffo tricks up its dual sliding doors, what makes this a Warner Brothers Venture? 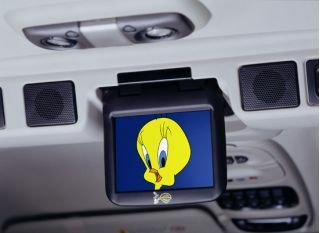 It’s all inside the cockpit, where the Venture’s perfectly well designed interior incorporates a built-in VCR and flip-down LCD screen. With the available wireless headsets, the Venture can become an ideal anaesthetic for small kids on the annual cross-country flog. Imagine the scene: a 600-mile trip to the beach, Toy Story on endless repeat, and a six-disc in-dash changer for the adults in the front. Guaranteed, the pit stops will be fewer and farther between. The Warner Brothers geegaws don’t add a considerable amount to the Venture’s pricetag. And despite the cartoon association, the Venture’s long wheelbase, sliding doors, safety equipment and – thank heavens – conservative styling mean that the last thing you’d call it is daffy. A lot of goodness with one bad thing! 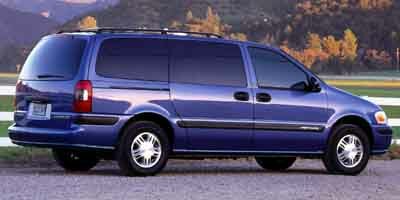 Looking for a different year of the Chevrolet Venture?